Problab Technologies offers social media optimization (SMO) services with great result. 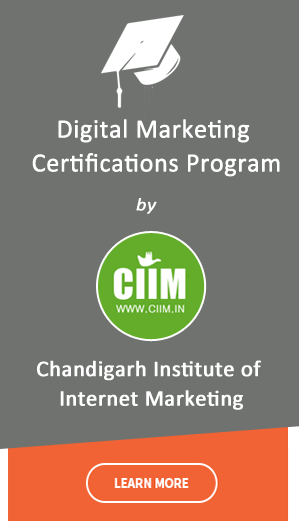 Our qualified SMO services in Chandigarh, India are planned to help companies as like yours. We create a brand name for your company and then market your products via online social media optimization. Our main application of SMO services is to bring traffic to your site from various online social networks other than big search engines like Google, Yahoo etc. You will also be assured to improve search engine rankings by having successful social media optimization services with us. 1.Social Media Marketing: We are the leading Social Media Marketing Company with primary focus on building brand awareness, lead generation, new client acquisition and existing client retention. 2.Reputation Management Services: Our conversationalists are highly active and use innovative approaches to safeguard brands against false or negative publicity online. 3.Content Marketing: Content is not king- seeding & promotion of said content is king.” We ensure to provide you with rich standard content that are easy to promote and market on Social Media Platforms. 4.Customer Engagement: We have a remarkable experience of designing & developing the most trending content for social media platforms that ensure high customer engagement & interaction. 5.Advertising on Social Media: We understand the importance of visual attraction on Social Media Platforms. Keeping that in mind, we design creative and precise advertisements for your brand to grab attention of your target audience on Social Media Platforms. At Problab Technologies, we understand for successful social media optimization, posting content, multiple times a day, is no longer effective. To make your brand successful online, we ensure its social media presence by creating dialogues with target audience using quality content and high impact visuals. Being the leading SMO Company we not only create a brand identity for you but we manage your brand reputation across all social media platforms like Facebook, Twitter, Instagram, LinkedIn, Tumblr, Pinterest, etc. Extensive research on keywords, target audience, social media trends, etc. Creative & humorous team of conversationalists. Competitive edge in delivering creative and attractive social media content. Proficient developers with years of experience in designing Social Media Applications. Create & update client’s blogs at regular intervals. Leading Edge SMO services at very cost-effective price.